This18 carat white golden pendant is made in filigree; an ancient lace-like metal technique that can be traced back more than 5,000 years. 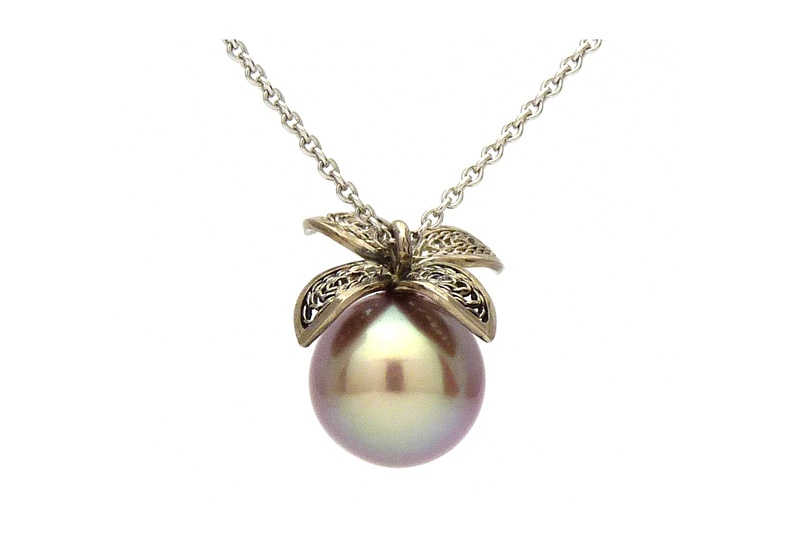 The pendant contains a beautiful Tahitian pearl of 9,6 mm. Do you have an enquiry about this jewel? Please contact us.